Silk makes it easier to make wholesome and healthy choices. 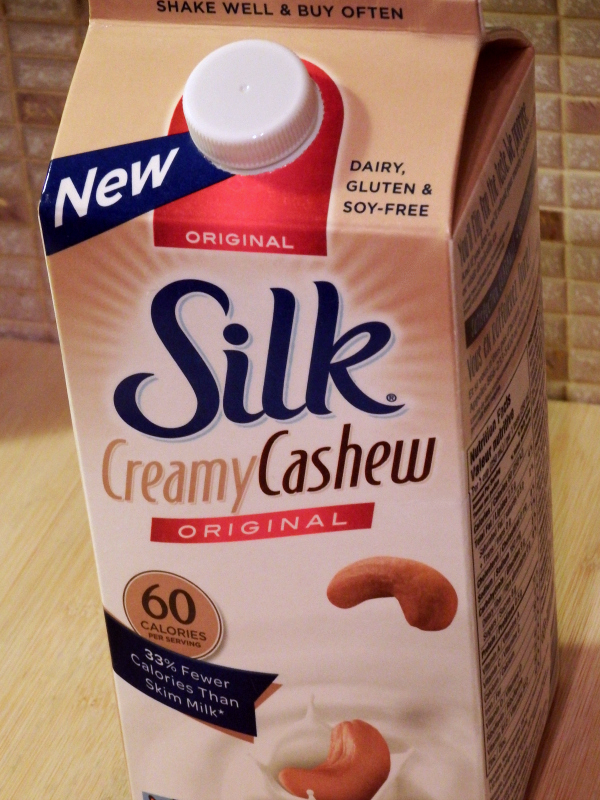 They’ve just introduced a new dairy-free milk alternative, Silk Creamy Cashew milk available right now in Canada. (Coming soon to the US!). I love cashews. 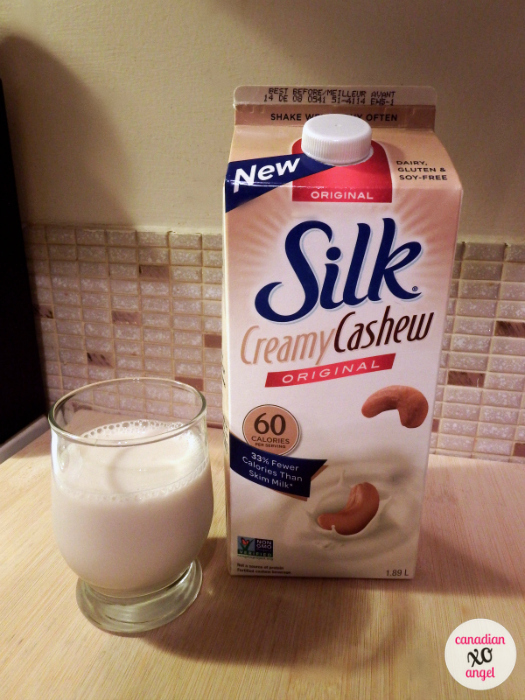 So when asked if I would like to try out the New Silk Creamy Cashew, I said heck yes! Over the past week, I’ve had the chance to try out this new Cashew Milk, and so far I love it. As much as I enjoy Silk Coconut milk and Dark Chocolate milk, I occasionally find myself wanting something with a creamier texture. Silk Cashew Milk is perfect for creamier recipes, such as homemade ice cream and mashed potatoes. It’s smooth, creamy and sweet. Cashew milk is dairy free, so it’s an excellent option for those with lactose intolerance. Silk Cashew Milk also has 33% fewer calories than skim milk (only 60 calories per serving), but as much calcium as dairy milk. Use Cashew Milk in smoothies, cookies, or even a refreshing fruit cereal. It’s best served cold. If you’re looking for a delicious dairy-free milk alternative, I encourage you to give this one a try. I’m looking forward to all the yummy recipes I can make over the winter with Cashew Milk. Where to buy: Silk Creamy Cashew milk is available at several locations throughout Canada including, Shopper’s Drug Mart, Sobey’s, Safeway (where I purchased mine) and several other locations. Use the product locator on the Drink Silk website to find which other stores near you, carry this great product. And don’t forget to share your love on Silk’s Facebook Page. Have you tried the new Silk Cashew Milk yet? Disclosure: This is a sponsored post on behalf of Silk and Tap Influence. The opinions expressed herein are those of the author and are not indicative of the views or positions of Silk. This post contains affiliate links to make your shopping more convenient.